Visit our center in Springerville Arizona to learn about the local dinosaur population from their discoverers. Explore the American South West's most remote locations while discovering the worlds of geology and paleontology. Adventure awaits at the White Mountain Dinosaur Exploration Center. 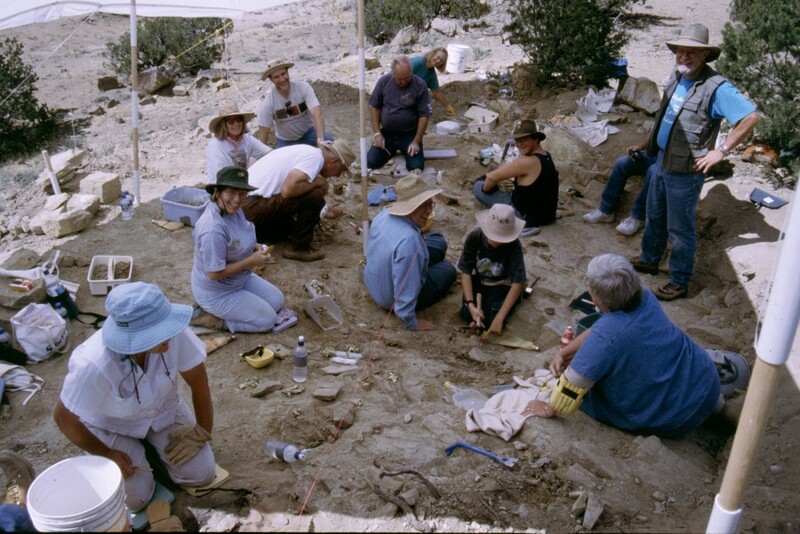 Custom tours on geology, paleontology, and more for all tastes and ability levels. Want to be a dinosaur hunter? Get started early with WMDEC events, classes, and more for all ages. WMDEC had 9 research publications this year and 2 more manuscripts submitted for 2019. Some of these publications are the results of our field efforts over the last 7 years exploring the 80my Menefee Formation. It was awesome to finally share some of what we have been up to! New Science program "Exploring the Past to Meet the Future"